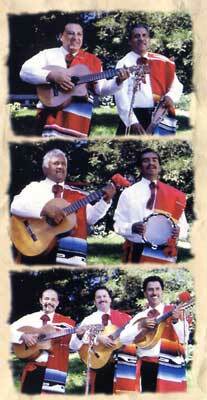 A six piece Mariachi band available for any type special or social event. 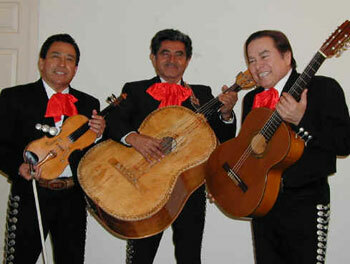 Playing the best traditional Mexican music and Spanish music. Available in Orange County, CA and many more locations! 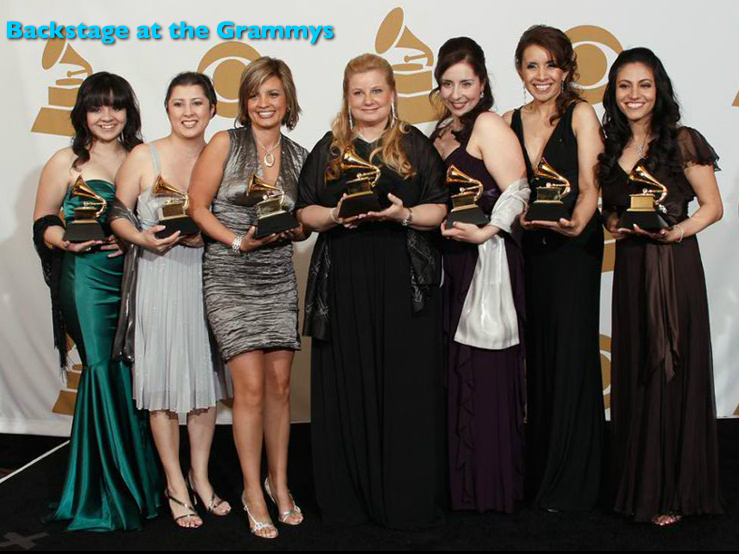 So Cal Mariachi is a family run business! 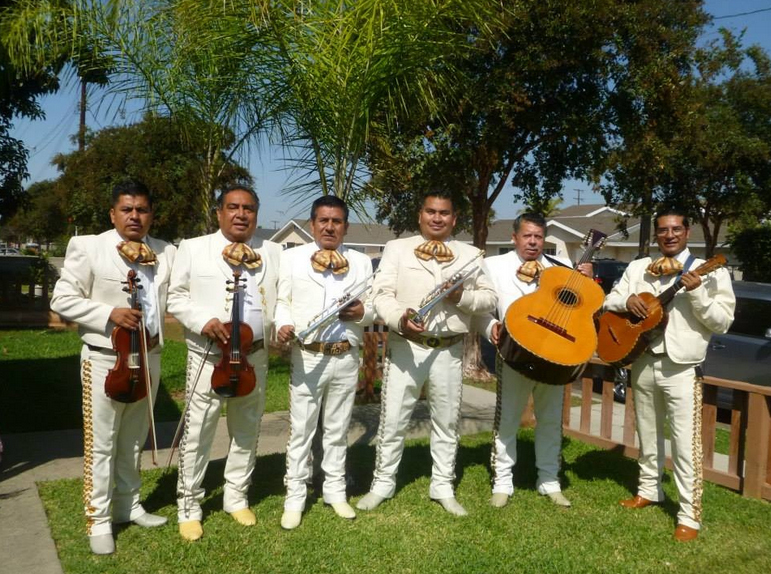 California Mariachis players were born and raised in Texas but have been a resident of California for the last 25 years. Their love for people is shown by the music played for them. They get great joy from a happy audience. 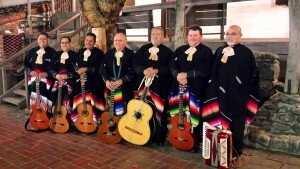 California Mariachi can be seen in Nutty Professor II serenading Janet Jackson. Also recently hired by Judge Reinhold who starred in Beverly Hills Cop. They have been in several motion pictures and TV shows. Through years of experience the band has a phenomenal guitarist and vocalist that compliments the guitar playing whether he is singing in English or Spanish. California Mariachi from The Event Consultants on Vimeo. 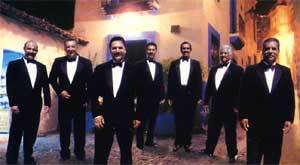 Weddings, Parties, Quinceaneras, Corporate events and much more! Beautiful romantic sounds and much more! 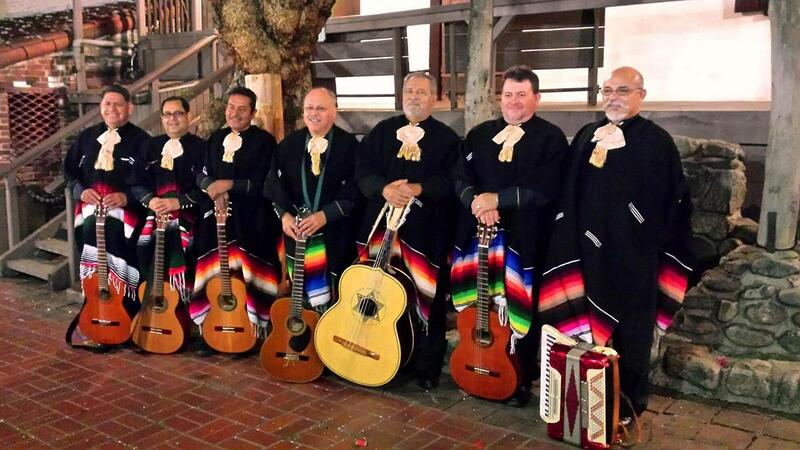 Add a romantic and memorable experience to your special day, by having the beautiful sounds of “Fernando’s Mariachis’ at your next event. Their 5 piece combination will add delight and create a perfect setting, with their combination of Bass, Accordion, 2 Guitars, Mandolin and outstanding Vocals! They can be both fun and festive, and romantic and soothing. They have been professional musicians for many years, and have received many repeat bookings, and the members are pleasant and easy to work with. Their goal is to make your event wonderful and put a smile on everyone’s face!!!! 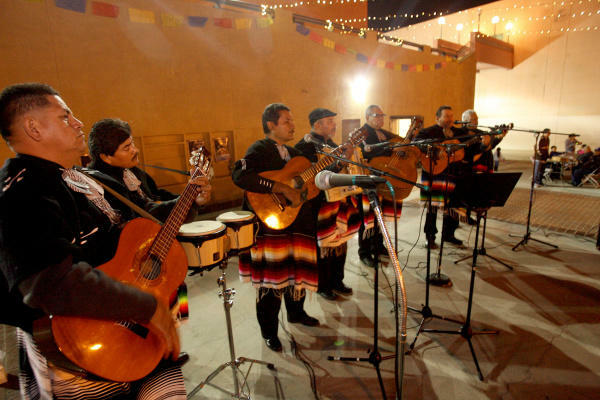 You will be truly pleased with Fernando’s Mariachis! 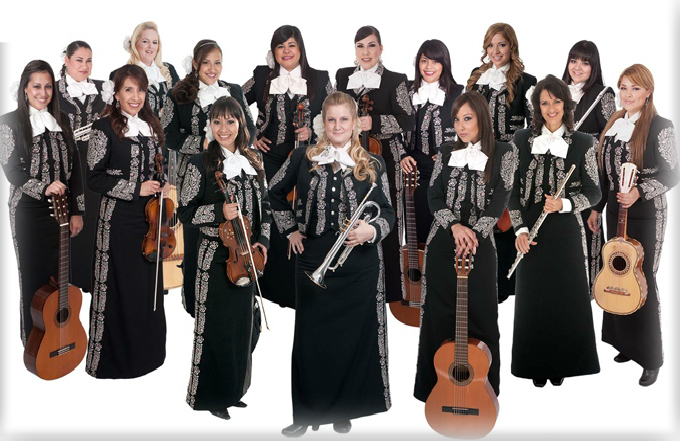 Our all female Mariachi group is a unique, multi-cultural ensemble, imbued with the true flavor of Los Angeles and have been represented by women of Mexican, Cuban, Samoan, Argentinean, Colombian, Panamanian, Puerto Rican, Swiss, Japanese, Honduran, Salvadorian, Peruvian, Tongan, and Anglo Descents. The EC Female Mariachi group had the honor of performing at the inaugurations of Los Angeles mayor, Antonio R. Villaraigosa and California Governor, Arnold Schwarzenegger. Since then they have also performed for several prestigious city and state events, including a performance in Sacramento for Governor Schwarzenegger and the President of Mexico! 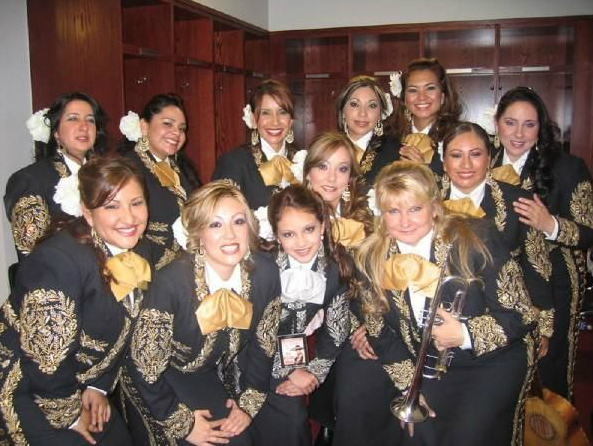 EC Female Mariachis backstage at the 2009 Grammy’s.